Kuchma, Leonid [Кучма, Леонід; Kučma], b 9 August 1938 in Chaikyne, Novhorod-Siverskyi raion, Chernihiv oblast. Second president (1994–2004) and second prime minister (1992–93) of independent Ukraine; head of the Council for National Security and Defense of Ukraine (1994–2004) and of the President of Ukraine’s Higher Economic Council (1997–2001). 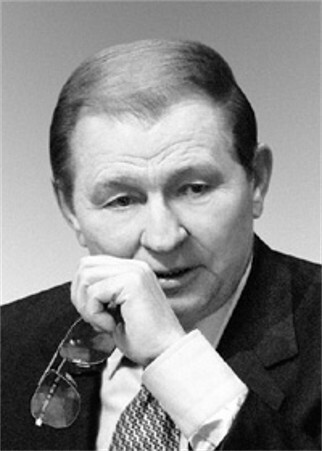 Kuchma graduated as a mechanical engineer from Dnipropetrovsk University in 1960. Later he obtained a candidate of technical sciences degree. Beginning his career as an engineer in the Pivdenne Construction Firm in Dnipropetrovsk, he worked his way up to general director (1986–92) of the Pivdennyi Machine-Building Plant (then the world’s largest missile factory) in that city and also worked for three years as head technician at the Baikonur Cosmodrome, the Soviet rocket-launching and -testing site in Kazakhstan. In March 1990 Kuchma was elected to the Supreme Council of Ukraine from a Dnipropetrovsk constituency. He was appointed a member of the parliamentary Commission on Defense and State Security. On 4 October 1992 he was co-opted to the science and technology panel advising President Leonid Kravchuk, who soon after, on 13 October, appointed Kuchma his prime minister. Kuchma held that post until 21 September 1993, when his repeated requests to be relieved were finally met. During his term as prime minister, Kuchma tried to introduce economic reforms, but these efforts were stymied by Kravchuk’s populist actions. At that time Kuchma was one of the organizers, with Vladimir Grinev, of the Inter-regional Bloc for Reforms (MBR) and president (December 1993–July 1994) of the Ukrainian Union of Industrialists and Entrepreneurs (USPP). In 1994 Kuchma ran for the office of president of Ukraine and won second place among seven candidates, winning 31.3 percent of the vote on 26 June. In the second round, on 10 July, he defeated the incumbent, Kravchuk, winning 52.1 percent of the vote to the latter’s 45.1. Kuchma’s campaign evidently benefitted from his criticism of the Kravchuk regime and from his promise to seek closer ties with Russia. He thus appealed both to the Russophone voters of southern and eastern Ukraine, where most of that electorate lives, and to his liberal, business, and reform-minded supporters in central and eastern Ukraine. Because of the narrowness of his victory and being buffeted by various pressures, Kuchma’s presidency was not much different from Leonid Kravchuk’s. Kuchma’s first visit abroad was to Canada rather than to Russia. He achieved adoption of the Constitution of Ukraine on 28 June 1996, but not without a long period of haggling that included passage of the troublesome Law on Power and of the Constitutional Accord, nor without alienating the left wing of the Supreme Council that had initially supported him, nor without threatening to hold a referendum, just as Kravchuk had done. In the economic sphere, Kuchma approached reform more directly and with greater determination and understanding than Kravchuk, yet his achievements fell short of the target. Like Kravchuk, Kuchma fostered a ‘party of power’ to support himself politically—the Popular Democratic party (NDP) of Ukraine. His entire first term was characterized as a series of running battles with the Supreme Council over privatization, taxes, and land reform. Kuchma stood for re-election as president in 1999. In the first round of voting, on 31 October 1999, he led a field of thirteen candidates, winning 36.3 percent of the vote. In the runoff on 14 November, which was marred by violations of normal rules of fairness, he secured 56.3 percent of the vote, defeating the CPU leader, Petro Symonenko, who won 37.8 percent. Kuchma’s team portrayed the contest as a choice between restoring Soviet-style Communism and moving closer to Europe. Immediately after his re-election, Kuchma embarked on a series of dramatic policy moves, including disbanding the collective farms and the redundant People's Guard, holding a referendum to strengthen executive power over the legislature, and speeding up privatization. But his relations with the Supreme Council began inauspiciously, with 160 deputies boycotting Kuchma’s inauguration and with the newly re-elected president later threatening to dissolve the parliament in defiance of the constitution. A sober-minded, moderate, and pragmatic leader, Kuchma at least offered stability, if not vision. 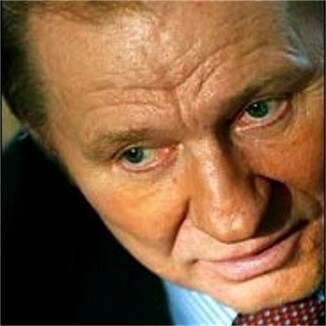 Kuchma completed his second term as president without resigning, though many expected he would. Indeed, despite his unpopularity, Kuchma pressed ahead with efforts to alter Ukraine’s constitution, at first arguing for a stronger presidency and later changing course to press for a parliamentary system with a weak president and a strong prime minister. The objective of his tactic was clearly to undermine the popular candidate for president in 2004, Viktor Yushchenko. At the same time, Kuchma worked to create a pro-presidential majority in the Supreme Council; he succeeded in doing so and in promoting a close ally as his regime’s presidential candidate. Initially it seemed that Kuchma’s chosen successor would be Anatolii Kinakh, whom Kuchma appointed prime minister in May 2001. 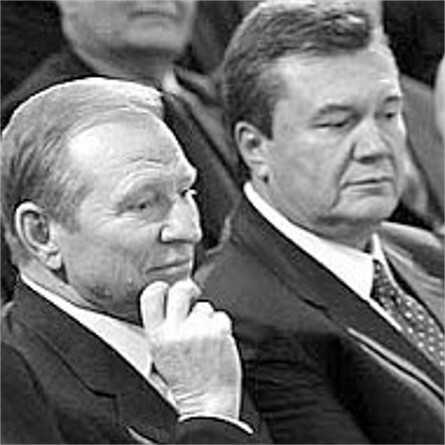 But in November 2002 Kuchma replaced Kinakh with his governor of Donetsk oblast, Viktor Yanukovych, who then became the favorite to succeed Kuchma. In a public-opinion poll conducted at the end of 2002, only 8.6 percent of the respondents said they fully trusted President Kuchma; 54.7 percent were distrustful. In 2003, along with a fresh proposal for proportional-representation (PR) elections, Kuchma reintroduced to the Supreme Council most of the proposals for constitutional reform that had been passed in the 2000 referendum but never acted upon. Mollified by the PR portion of the package, the Communists in parliamant assisted passage of the proposals in December 2003. 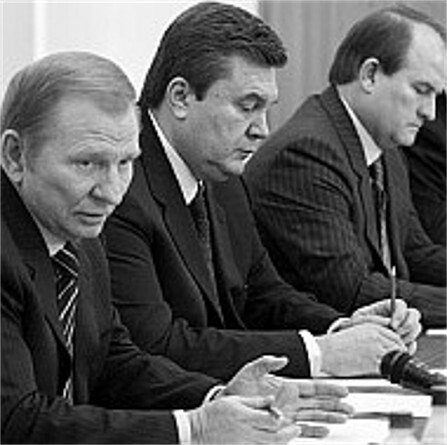 In February 2004, however, parliamentarians altered key aspects of Kuchma's package. As a consequence, the president would not be elected for an ‘interim’ term of two years in 2004 or elected subsequently by the Supreme Council. With passage of the PR bill, to take effect on 1 October 2005, the way was cleared for adoption of the rest of Kuchma's reform package—assuming the pro-presidential majority in the Supreme Council would persist. Kuchma's domestic policies, his constitutional ‘reforms,’ and his implication in several scandals created difficulties for his foreign policy, especially in Ukraine’s relations with the United States. He was criticized by the Parliamentary Assembly of the Council of Europe for using ‘reforms’ for political purposes. Kuchma was also threatened with criminal prosecution and impeachment and was accused of authorizing the sale of arms, missile engines, and radar systems to Iraq, which won him notoriety in Washington. By alternating between closer relations with Russia and the European Union, he undermined, instead of strengthened, confidence in Ukraine's readiness to become part of Europe. In the Western media Kuchma's reputation was less than positive. President Kuchma kept a fairly low profile during Ukraine’s Orange Revolution—the huge, ongoing public protests, strikes, demonstrations, and concerts of late November 2004–mid-January 2005 in Kyiv, Lviv, and many other Ukrainian cities against the corruption and criminality that had come to pervade Ukraine under Kuchma, and particularly against the electoral fraud that highly placed members of his administration perpetrated in favor of the regime's candidate for president, Prime Minister Yanukovych, during the first two rounds of the presidential elections in November and December 2004. 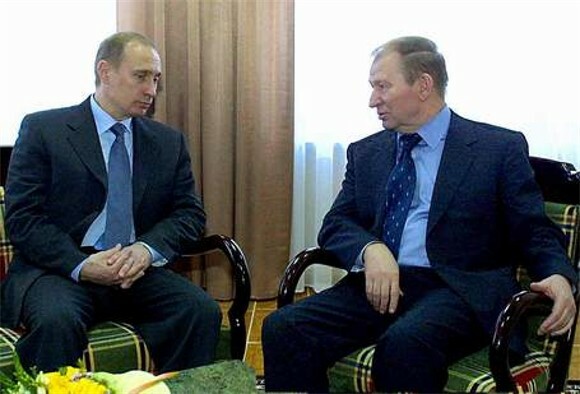 Kuchma was reviled for flying to Moscow during that time, ostensibly to receive directives from President V. Putin. Surprisingly, however, Kuchma did not authorize any police repression or violence against the protestors, probably because there were too many (millions, in fact) of them. The third round of the elections, on 26 December, took place with relatively few irregularities, and in January 2005 Viktor Yushchenko, the leader of the Orange Revolution and official winner of the third round, was declared the new president of Ukraine. Musing on his ten years in office, Kuchma took credit for steering clear of economic collapse, raising people's living standards, and achieving ‘impressive’ economic results. In the foreign policy field, he pointed to the achievement of international recognition of Ukraine as a state, its membership of collective-security organizations, and the establishment of the country's borders. At about the same time, the United Nations Human Development Report for 2004 assigned Ukraine the seventieth place, behind even Belarus (62), among 177 countries of the world. Before leaving office, however, he managed to reshape the political system of Ukraine fundamentally, in line with his own shrewd preferences, and to set a booby trap for his successor. Taking advantage of the above-mentioned crisis, in the round-table negotiations he secured a compromise: in exchange for his agreement to the rerun of the second round of the presidential election, laws were passed transforming Ukraine from a presidential to a parliamentary system and changing the mixed electoral system to a purely proportional one. Thus the new president, Yushchenko, would inherit an office that is relatively weaker than the one occupied by his predecessor and, importantly, would confront a relatively stronger parliament dominated by Kuchma's allies. Such was Leonid Kuchma's legacy to Viktor Yushchenko. Kuzio, T. Ukraine under Kuchma: Political Reform, Economic Transformation and Security Policy in Independent Ukraine (New York 1997).